we determined that if leko was in the summer olympic games, he would excel at many sports . . .
track and field - he's super fast, so he would leave all the other athletes in the dust on the running track. when he runs, it's like a bolt of lightning went through the house. soccer - he has soccer skills like i've never seen. it's amazing how fast he gets his little pink ball moving around our hardwood floors, and how he scores goals by dunking it in his water bowl. gymnastics - he can get into such contorted positions and he's good at balancing on thin areas just like a balance beam. wrestling - holy moly! i'm not sure why, but he thinks it's fun to wrestle my legs every day with his teeth. unfortunately, i always lose and his teeth are victorious, leaving me with soar calves. all of these are well and good, but another sport that he is exceptional at is bird watching. they should really consider adding that in the next summer games. 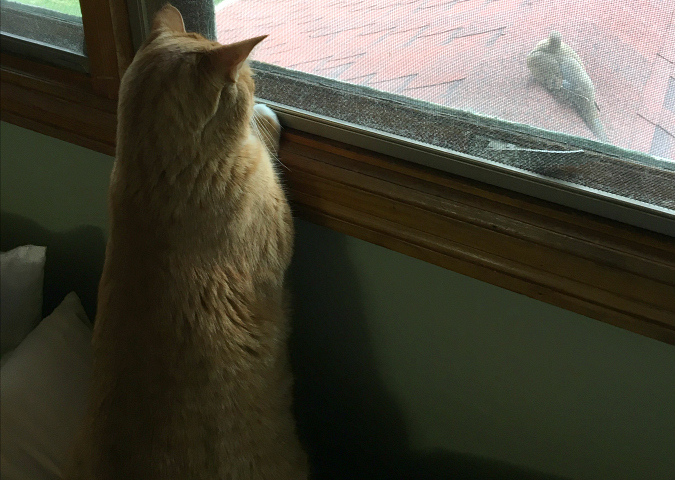 no one can spy on birds quite like leko. 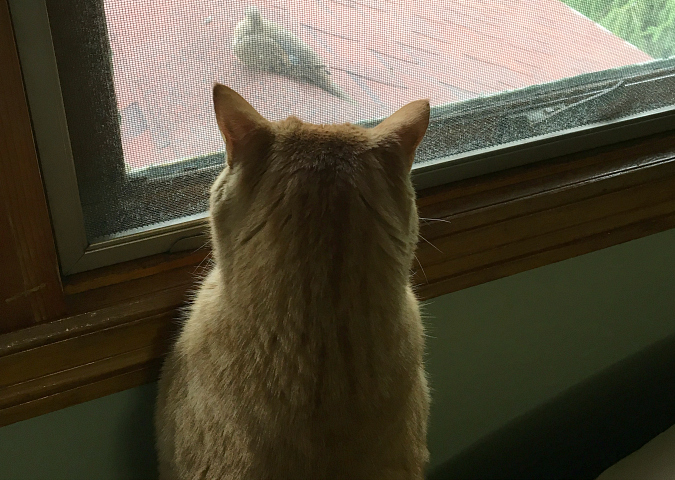 we caught him the other day sitting on ryan's pillow looking out at two birdies who perched themselves on the peak of our porch roof. i'm glad ryan had his phone handy to snap a few pictures, because this furry little guy takes home the gold when it comes to birdie watching. 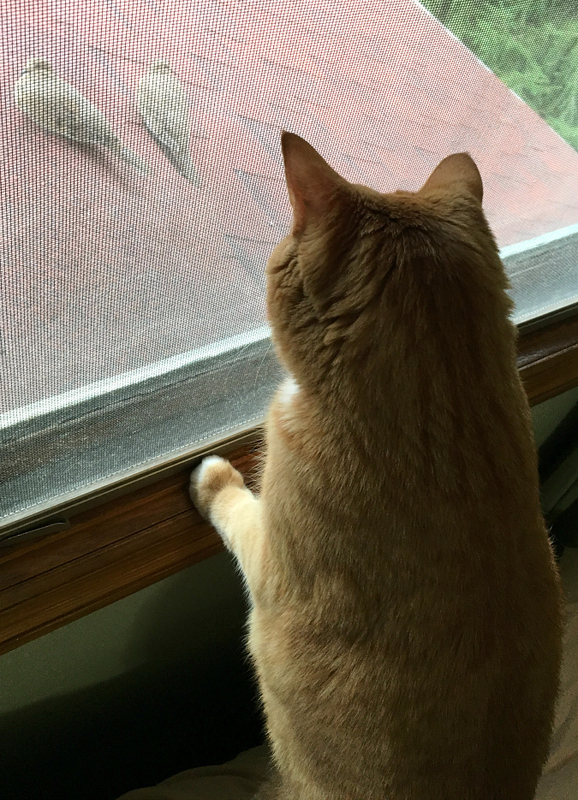 He sure knows how to sneak up on the birds. They do not even know they are being watched. Thanks goodness there is a window between them.